GitHub - mrsegev/MovieNight: MovieNight is a sample Android application that uses the clean architecture approach and is written in Kotlin. 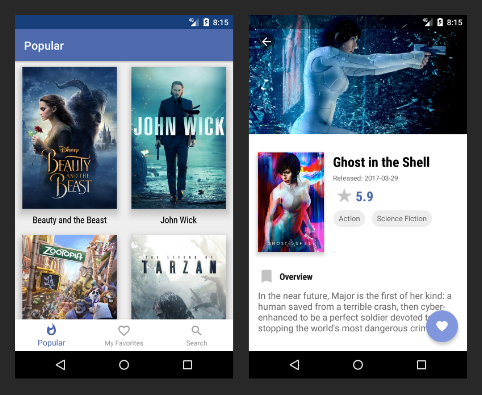 MovieNight is a sample Android application that uses the clean architecture approach and is written in Kotlin. Want to be notified of new releases in mrsegev/MovieNight? P.S: I've written a blog post about this project.